Carpet Cleaning Boston has professional rug cleaning for rugs of all types, be it Persian, silk, antique, wool or braided rugs. 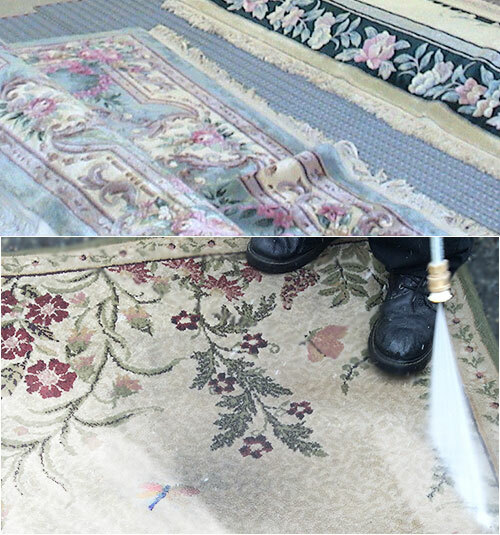 Carpet Cleaning Boston's team of licensed, bonded & insured rug cleaners offers free pick-up and delivery of rugs and professional rug cleaning on our company's premises, outfitted with the best rug cleaning equipment and accompanied by a 100% satisfaction guarantee. Initial Inspection - Our technicians will check every inch of your rug. This inspection helps us identify the appropriate cleaning method for your rug, as well as any problem areas, such as stains or vulnerable areas, so that we can properly protect your rug from damage during cleaning. Dusting and Dry Soil Removal - We use innovative dusting equipment to remove enormous amounts of dry soil and dust from your rug, much more than vacuuming alone can achieve. Rug Washing - Your rug will be painstakingly washed, using our special rug cleaning products to safely remove tough dirt, odors and stains. All our cleaning agents are biodegradable and 100% organic. Complete rinsing eliminates any cleaning agent residue. Rug Drying and Grooming - Our professional drying equipment ensures that your rug will dry quickly, without rippling or shrinking. The rug pile and fringe will also be carefully groomed for optimal appearance. Final Inspection - Your rug will undergo a final inspection before being wrapped up for delivery. Our free estimate on rug cleaning and carpet cleaning services is available simply by calling 617-938-3847. For the convenience of our Boston MA customers, we accept - Visa, MasterCard, American Express, and Discover payment options, as well as checks. 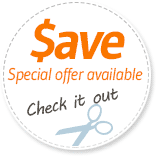 Please check our site for money-saving coupons. If not properly cleaned, rugs can become a major source of triggers for asthma or other respiratory issues. Dust, dirt and bacteria accumulated in rug fibers can significantly reduce the indoor air quality. So what can you do to control allergies & asthma attacks and improve your family's health? When health is on the line, you can't afford to play around. If you cannot provide suitable cleaning for your floor coverings, book Carpet Cleaning Boston. Our Boston Massachusetts experts offer only Environment Friendly Carpet Cleaning (Green Clean) techniques, chemical free carpet rug cleaning equipment supply, and rug cleaning machines by top manufacturers in the cleaning industry. See other service packages at Boston Carpet Cleaning. Call 617-938-3847 today for the answers to all questions about our services. In addition to green carpet cleaning you can take advantage of our 24 / 7 Emergency Services - RESPONSE FOR WET CARPET DRYING. Our carpet emergency service is available 24 hours a day so that if a disaster strikes, you will know whom to turn to for quick and professional help in Boston, MA. Your valuable carpeting and other floor coverings including rugs can be completely restored if treated immediately; however, if you wait too long, the chances to save your personal belongings will be significantly reduced. For qualified carpet cleaning in Boston and other cleaning related service be it area rug cleaning or car upholstery cleaning turn to our technicians at Carpet Cleaning Boston via the following phone number: 617-938-3847.